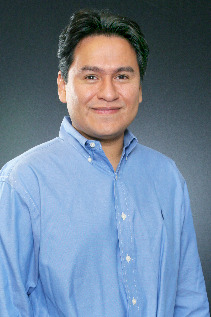 Dr. David Campos began his career in education nearly 25 years ago when he started teaching second grade. He later entered graduate school, taught ESL, and worked in corporate training and development. He earned his Ph.D. from The University of Texas at Austin, specializing in learning disabilities and behavior disorders. While at UIW, he has supervised student teachers and taught undergraduate and graduate courses in special education, multicultural education, and instructional design and delivery. Campos, D., & Knudson, E. (2019). Using film to expand horizons. Educational Leadership, 76(4), 73-78. Campos, D. (2018). An instructional approach to exploring poverty and immigration: Three children’s books that pack a punch. Intersections, 2(1), 34-44. Perez, K.A., & Campos, D. (2018). Recommendations for treating Latinos in Travis County. TCMS Journal, 64(2), 22-23. Campos, D. (2018). Honoring the voice of Clementine Hunter: A guide for comprehensible and relevant lessons. Black History Bulletin, 81(1), 23-28. Campos, D., & Delgado, R. (2017). How principals can help teachers of ELLs. Principal Leadership, 18(10), 22-23. Campos, D. (2017). Battling the bullying of LGBT students. Social Education, 81(5), 288-295. Campos, D., & Moore, M.R. (2017). The lasting effects of the UT Austin tower Massacre. In M.R. Moore and C. Sabo-Risley (Eds), Play in American life: Essays in honor of Joe L. Frost. Bloomington, IN: Archway Publishing.